Central Bank Financial Repression Keeps Equities Afloat While Underpinning Secular Gold Bull Market | Energy and Gold Ltd. While the futures action is relatively calm this morning, I will take some time to share 3 charts which tell an important story. 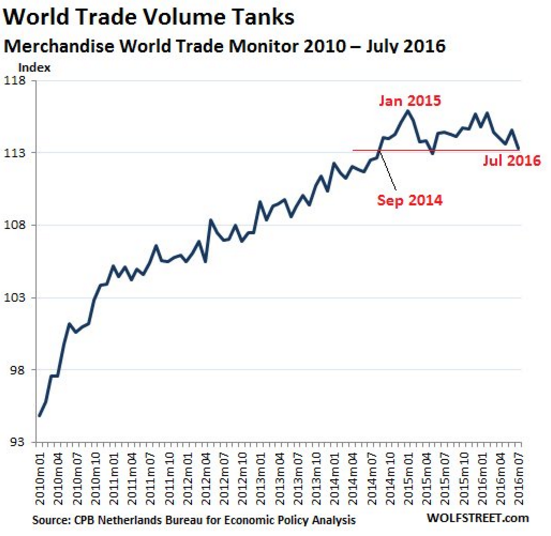 It’s interesting to note that world trade peaked in January 2015 after several years of strong growth. 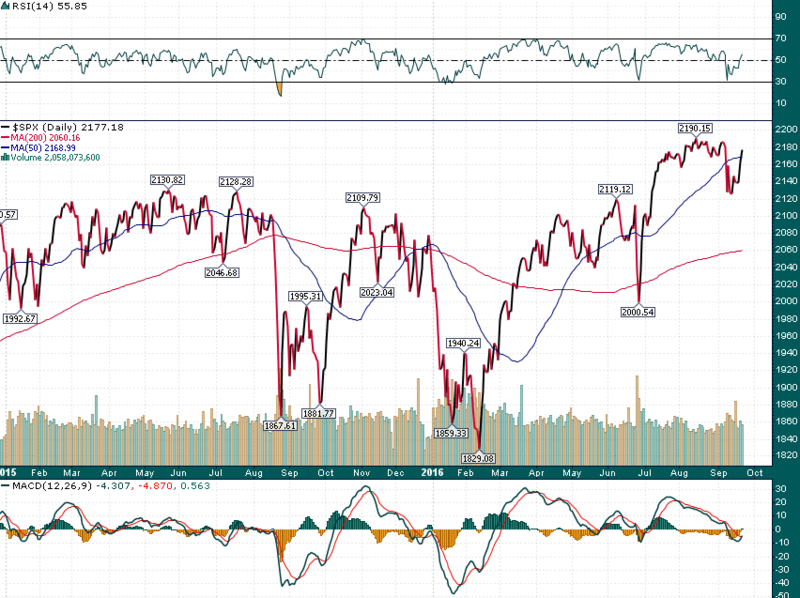 If I were to conduct some cursory technical analysis of this chart I would say that a lower high was put in place earlier this year and a minor double-top is also visible. Meanwhile, trade volume is on the verge of breaking support to the downside after spending the last two years putting in a major top. Weak global trade is consistent with the deflationary headwinds we have experienced globally and low (negative) bond yields. The world’s largest equity index hasn’t gone much of anywhere in nearly two years and has actually notably diverged from the previous graph of global trade volume in recent months. Virtually at the exact time that global trade peaked the ECB’s shadow rate began a steady trend lower as its policy rates remained constrained by the zero bound. The shadow rate can simply be explained as the ‘effective policy rate’ – the rate which the fully array of monetary policy tools currently being implemented is effectively creating in the economy. 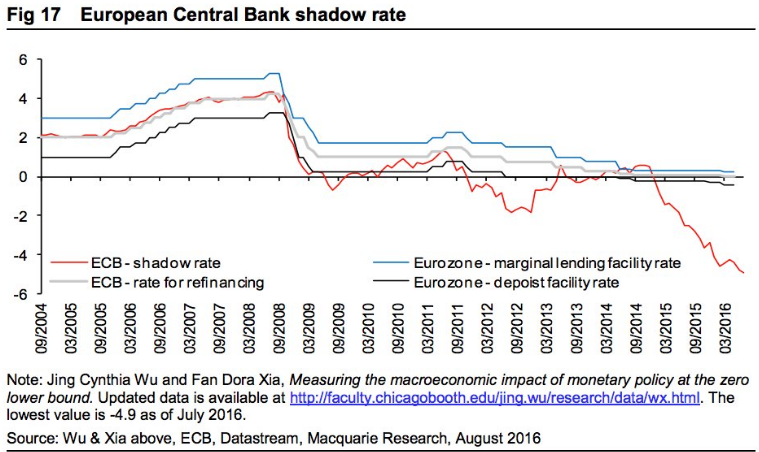 The ECB’s launch into QE programs after being constrained by the zero bound has created a shadow rate that is far into negative territory (-4.9% as of July 2016!). Significantly negative interest rates are a form of financial repression and create an unnatural bid for various asset classes such as equities and real estate. Once central banks have jumped the shark to the extent which they have in the last few years it is difficult, if not impossible, to foresee how such accommodative monetary policies will be unwound. I believe the answer is that they can’t and this is one of the primary reasons why gold is in, and will remain in, a secular bull market.